ROCKWELL, Anne. 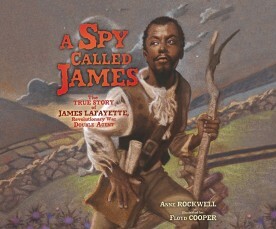 A Spy Called James: The True Story of James Lafayette, Revolutionary War Double Agent. 1 CD. 14 min. Dreamscape. Jan. 2017. $14.99. ISBN 9781520066172.